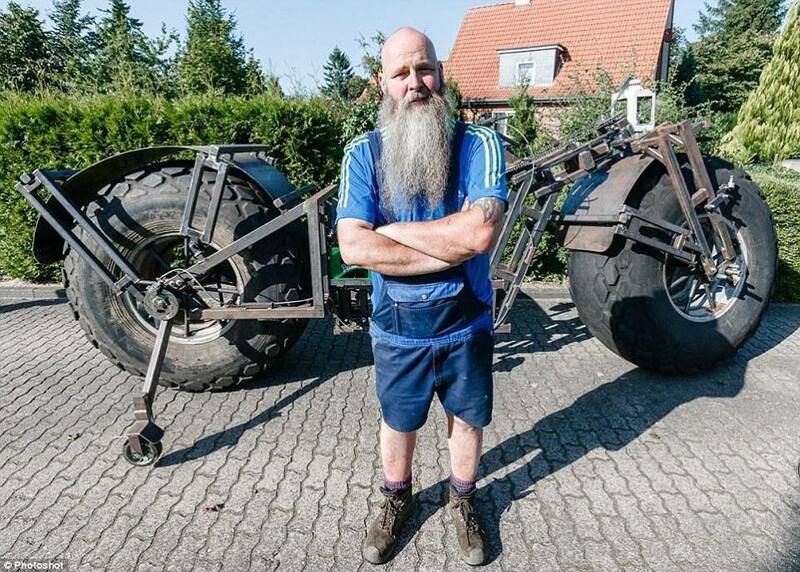 A man in Germany has created the world’s heaviest rideable bike hoping to pedal his way into record books. Frank Dose is almost certain to beat the current world record after confirmation fromGuinness World Records representatives. His bike weighs 940kgs but he plans to add more weight this week to get to 1.2 tonnes. The current record stands at 860kg. Using giant tires from an industrial fertilizer spreader and scrap steel, Frank has been building his bike since March. 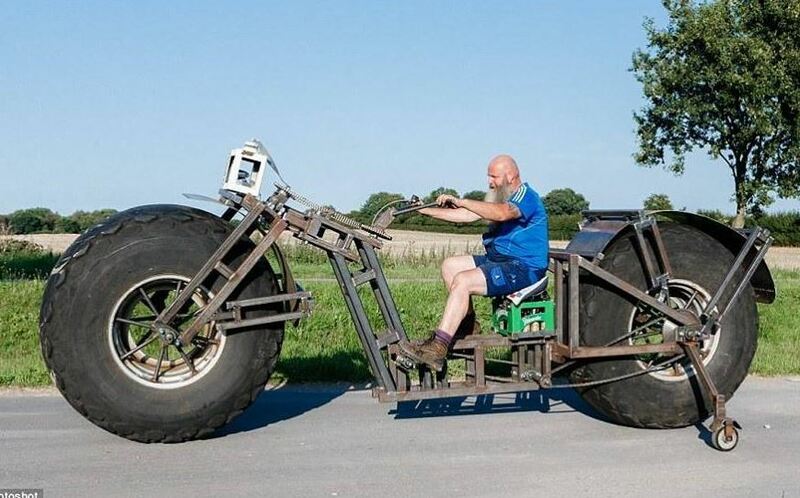 The tires are 1.53 meters in diameter but he says it is quite easy to ride.